There are so many affiliate programs on the internet, some of which specialize in one particular product or brand, while other programs include a great variety of products. It is the second group that enjoys enormous popularity among affiliates because they offer plenty of opportunities to integrate them into the content the affiliates are producing. 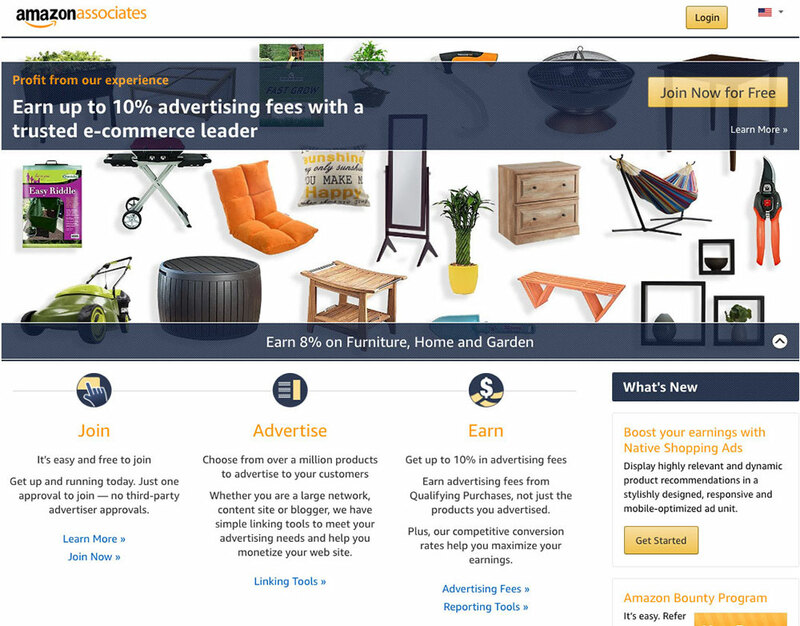 As the largest online retailer, Amazon offers Amazon Associates affiliate program that is suitable for many affiliates. The product range is so extensive that almost any affiliate could find the products worth advertising. 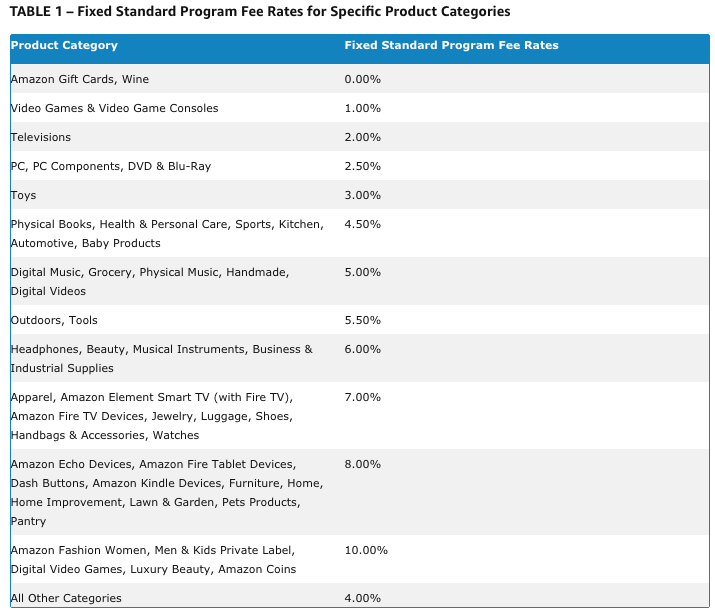 The company offers fixed standard program fees rates based on specific product category. Some of the categories such as Luxury Beauty, Digital Video Games, etc. have the highest rate of 10%, while the rates go as low as 1% for Video Games and Video Games Consoles category. All of the program’s rates based on each category are available in their Associate Program Fee Statement. 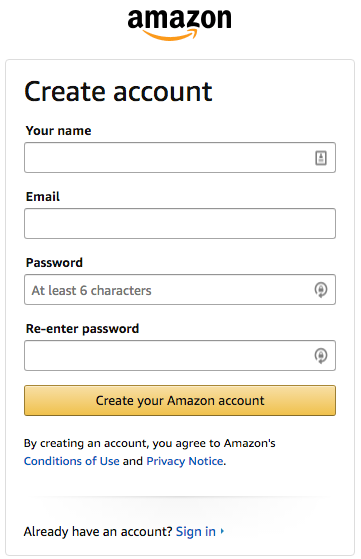 It is free to join with your existing Amazon account. If you do not have one, you will have to create it before you can join the program. Once you are approved, you will get access to the dashboard providing you with the tools to create links and banners. You should use the search option inside the account and then click to get affiliate link generated for you. The link can be customized as a text link, an image link, or a text and image link. When linking to Amazon product categories, you can use promotional banners. 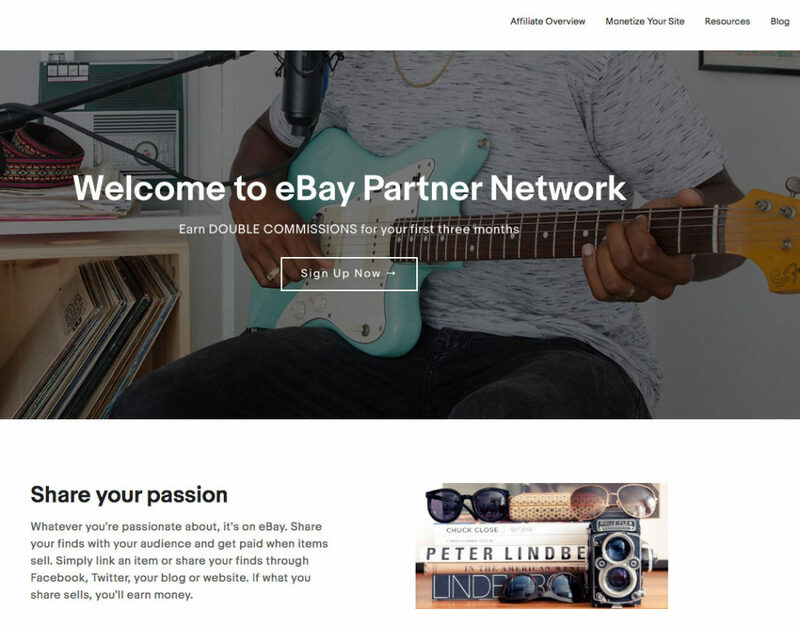 eBay is another one of the influential online retailers offering its eBay Partner Network, an in-house affiliate program. Joining this network helps you gain access to a large variety of affiliate programs and products. Commission rates range between 50% and 70% based on the category, and the payments are processed monthly. Although the company is primarily known as an offline retailer, Target does offer a large selection of products online through their online store. The products are divided into numerous categories including clothing, accessories, home decor and furniture, movies, music and books, food and beverage, beauty, pets, etc. 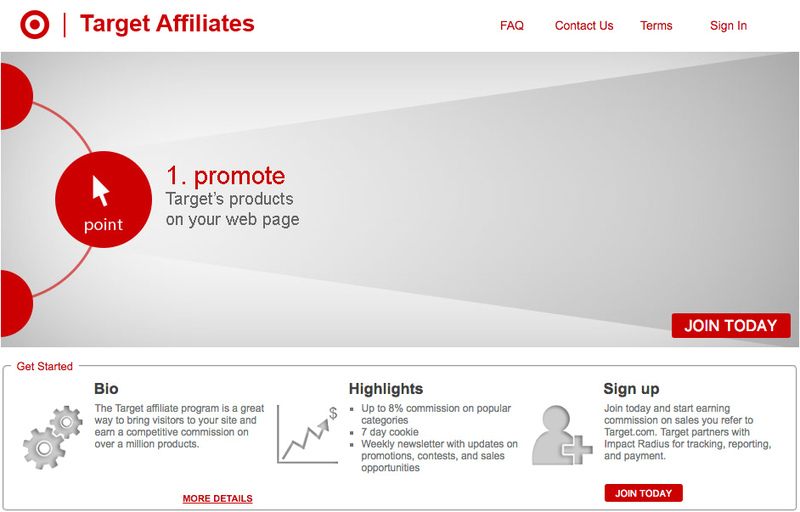 Their affiliate program, called Target Affiliates, offers an opportunity to earn by advertising those products. 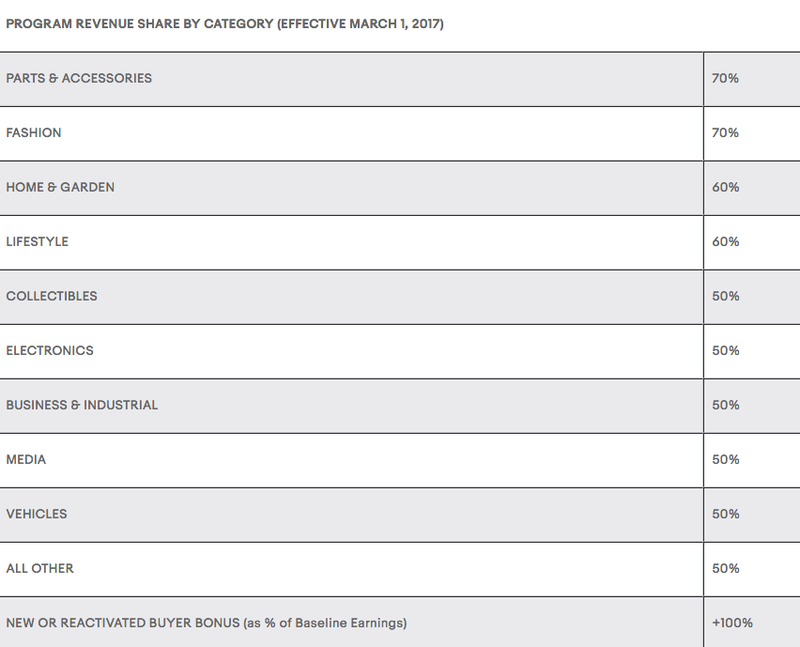 The commissions are divided based on categories and, for most categories, the rates grow as the number of monthly net orders grows. The overall commission rate is up to 8%. The program accepts both individuals and companies. It is necessary to fill in the application consisting of five steps to apply for the affiliate program. Jet is another online retail company that sells a variety of products from groceries and household supplies to office products, fashion, and appliances. What this means is that it offers quite a selection of products to promote through an affiliate campaign. Many affiliates will find some types of products they could feature on their blog, regardless of the niche they work in. The company offers its Jet Affiliates program through Rakuten Affiliate Network. This means that you will first have to sign up for the new account on this network, if you already do not have one, and then apply for the program. Although these marketplaces offer quite a selection of product, thus being an interesting option for most affiliates, there are many interesting places where you can find new affiliate programs to join. For starters, explore the affiliate networks. As an affiliate (or publisher), you get to join the affiliate networks for free. This gives you the access to explore the affiliate programs available online. You should look based on different categories and choose those that are related to your niche. Another way to find an affiliate program is to look up the brand or company you are interested in promoting using a search engine. Add the keyword “affiliate” or “affiliate program” to get precise results. Etsy – This e-commerce website specialized in handmade and vintage items offers an affiliate program with 30-day cookie life and commission rates determined on a case to case basis. Craftsy – This program is perfect for those specializing in crafts and projects that involve knitting, crochet, art, etc. The cookie life varies from 5 to 30 days, as well as commissions (from 4% to 75%) depending on the type of transaction. Scrapbook.com – A paper/crafting store and community offers an affiliate program with 30-day cookie life, up to 20% commissions and over 50,000 unique products to advertise through this program. diy.com – The company offers 1% commission and a large selection of products to promote in this niche. Volusion – E-commerce website platform offers two ways to earn as an affiliate. You can either apply for a reseller discount (up to 35% on monthly hosting plans) or a referral commission (200% one-time commission payment on monthly hosting plans). Bitbond – This global lending platform offers a program that allows earning bitcoins through affiliate links with 3-month cookie life and commissions that can be 20% (borrower commission) and 30% (lender commission). NET-A-PORTER – The website offers high-end designer labels and fashion items which you can promote through an affiliate program that includes up to 6% commission and 30-day cookie life. Shopify – Shopify is an e-commerce platform offering their Shopify Affiliate Program with high commissions offering 200% bounty for every new Shopify merchant with standard plans (up to $598) and 100% bounty for an enterprise plan ($2000). Udemy – The platform offers an opportunity to promote online courses on various topics with very competitive commission rates and a program that provides banner, links, promotional tools, and assets to help you with online promotion. Booking.com – As a leading accommodation provider, Booking.com offers an affiliate program with an extensive amount of accommodations to promote. Jane – Jane is an online store specialized in clothing, jewelry, maternity, beauty, etc. This means that there is a large selection of products to advertise through their program that offers 11% payout rate (10% for existing customers). Creative Market – The website offers design assets including graphics, fonts, themes, graphics, etc. Their affiliate program offers 10% on every purchase of a new customer for a year. Ashford – The website specializes in the sale of luxury watches and they offer 6% commission (their average order size is $650). The cookie life is 45 days.